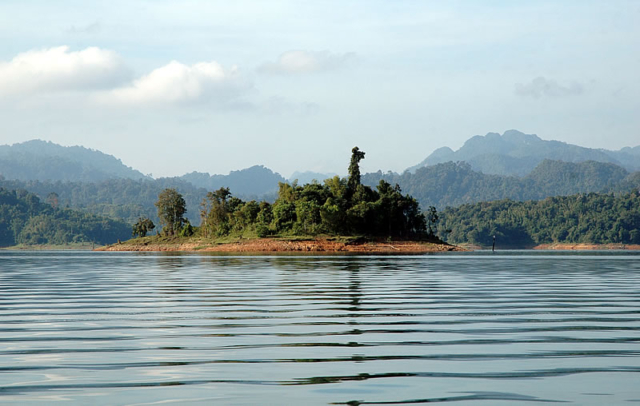 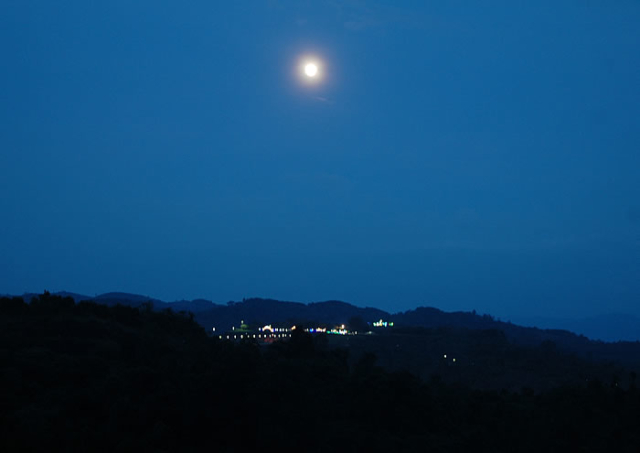 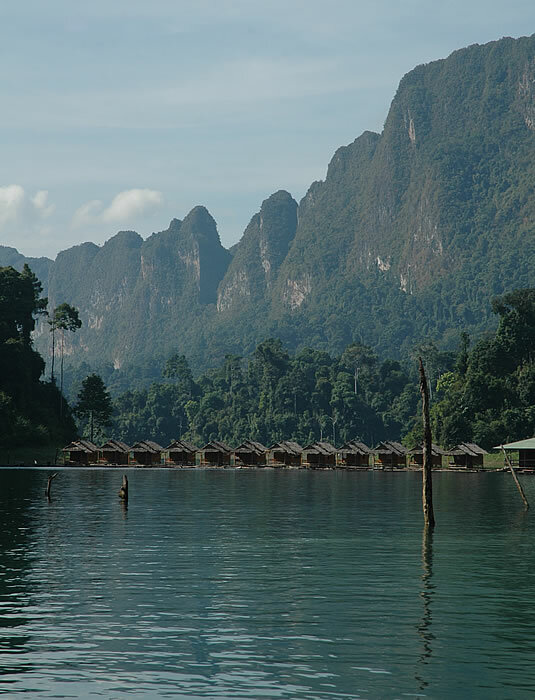 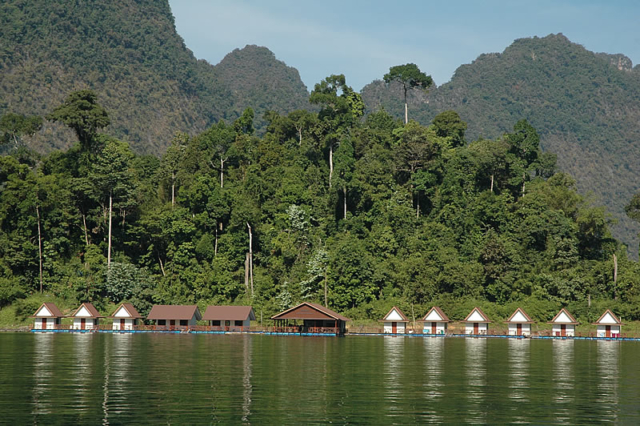 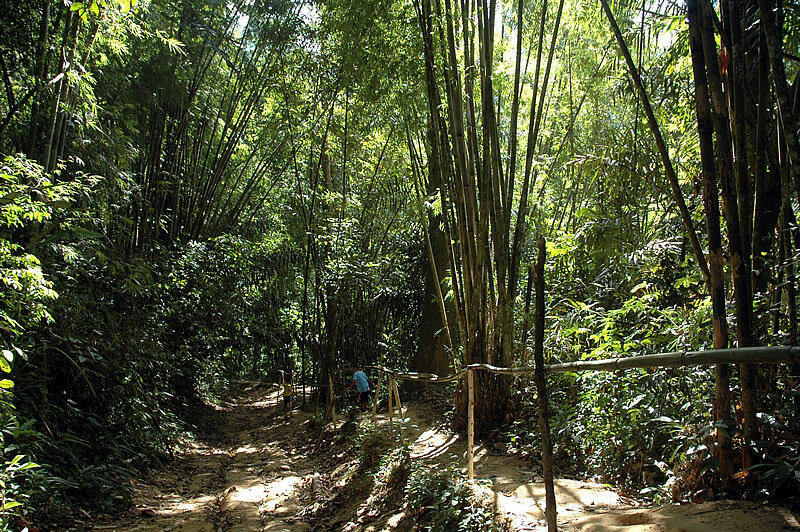 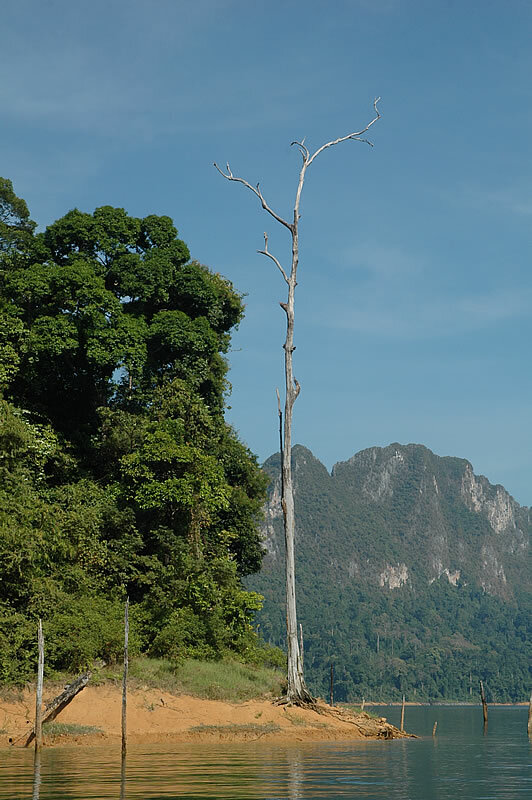 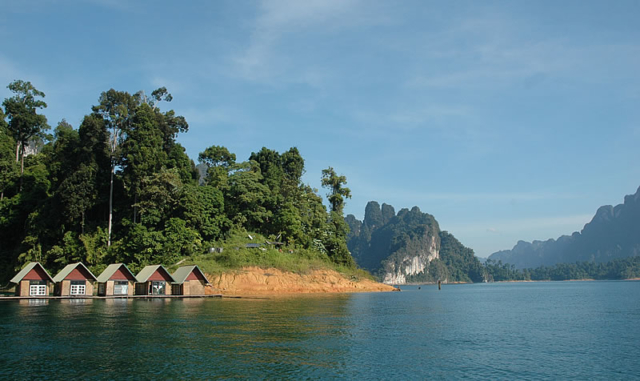 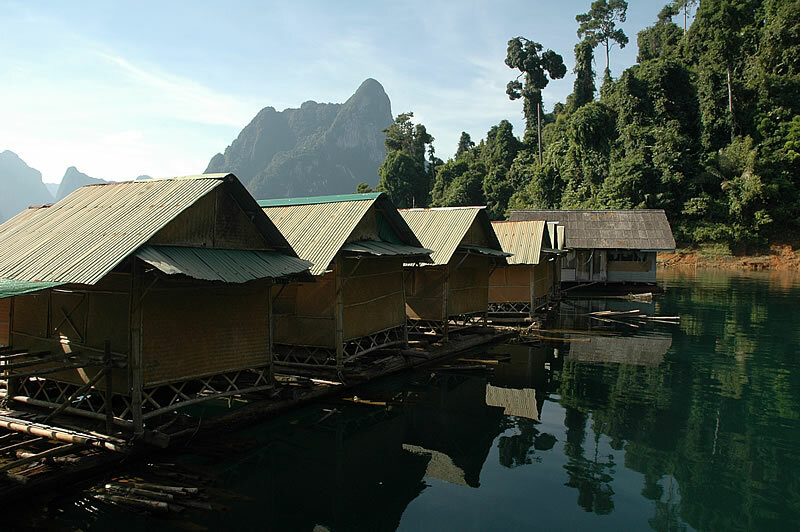 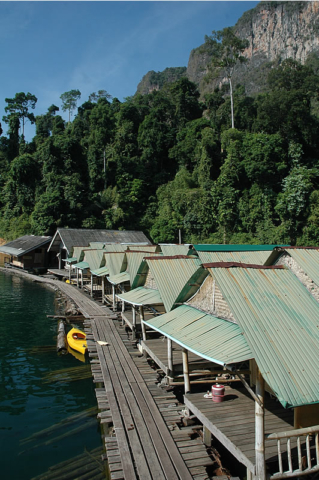 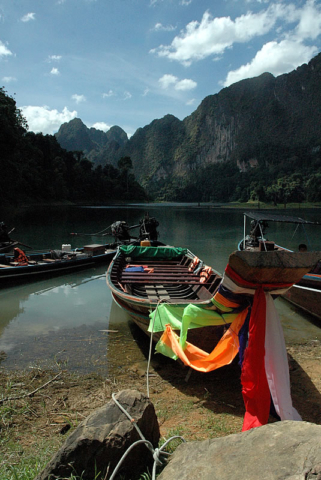 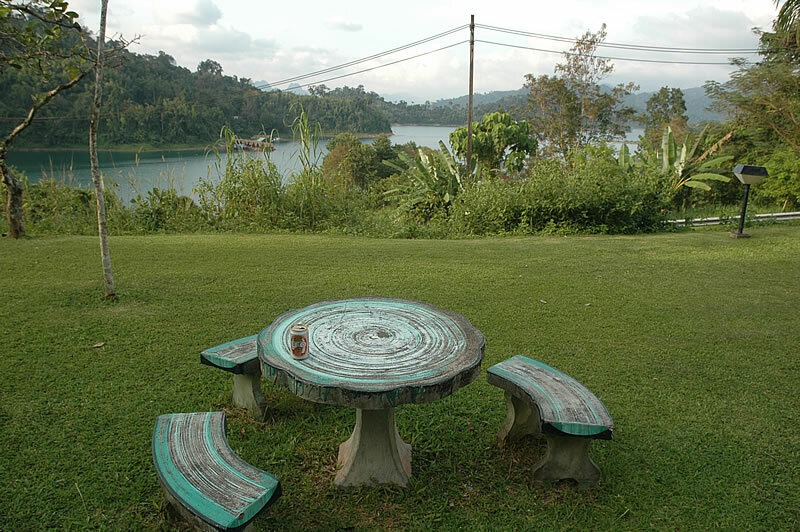 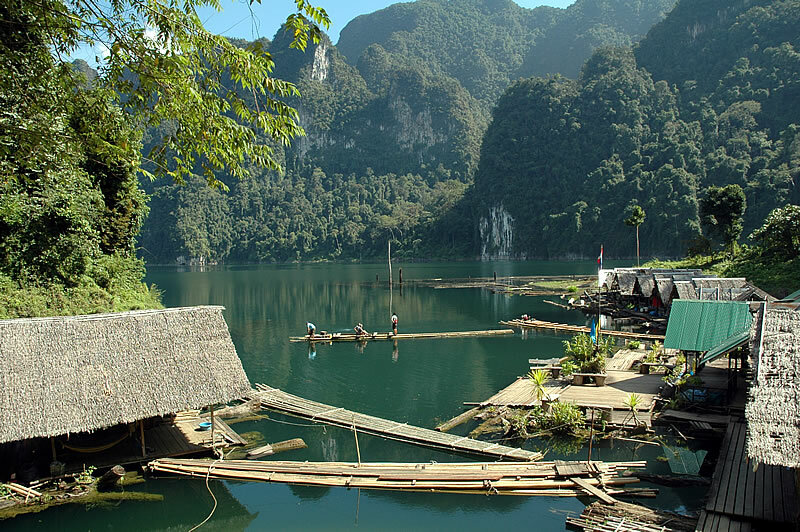 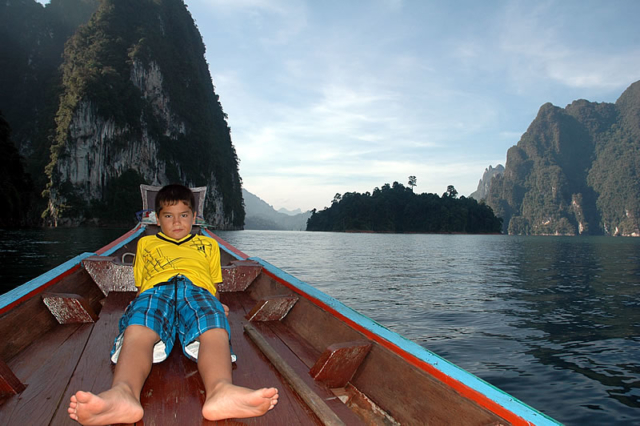 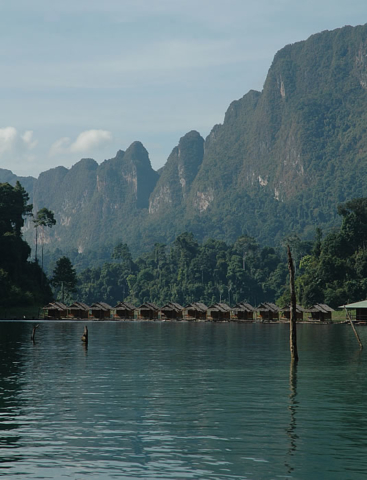 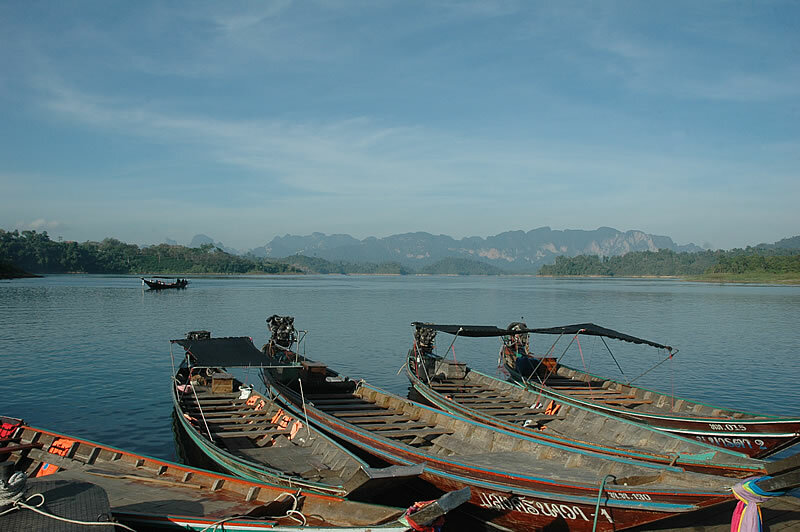 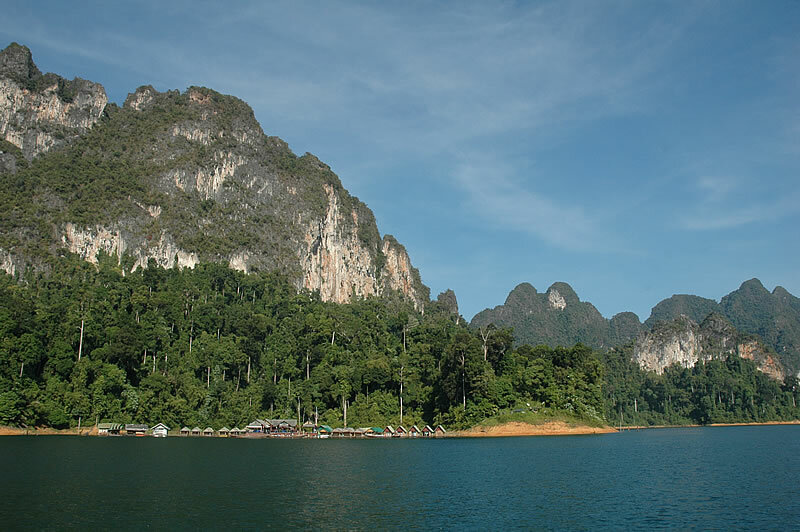 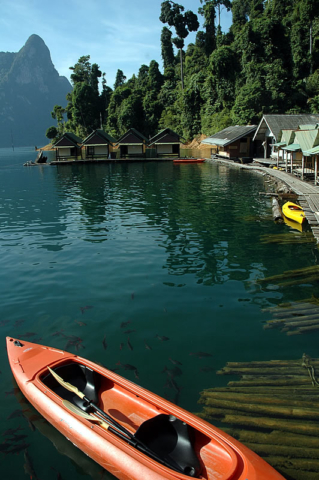 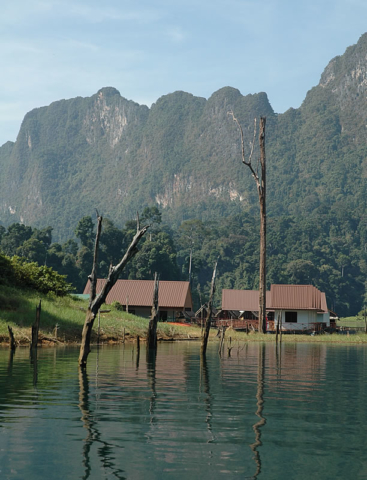 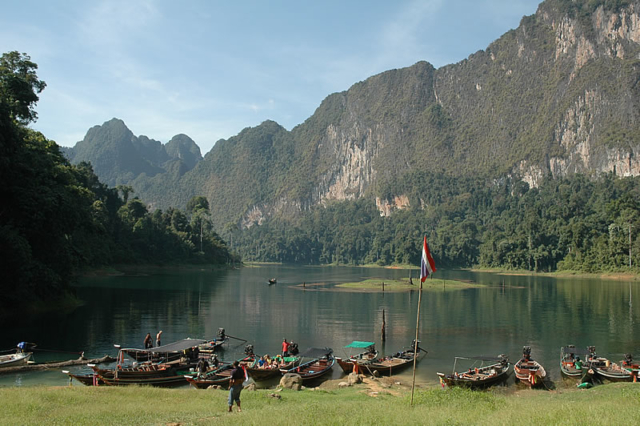 We decided to seek out some accommodation at the EGAT village at Rajaprabha Dam on the edge of Khao Sok National Park. 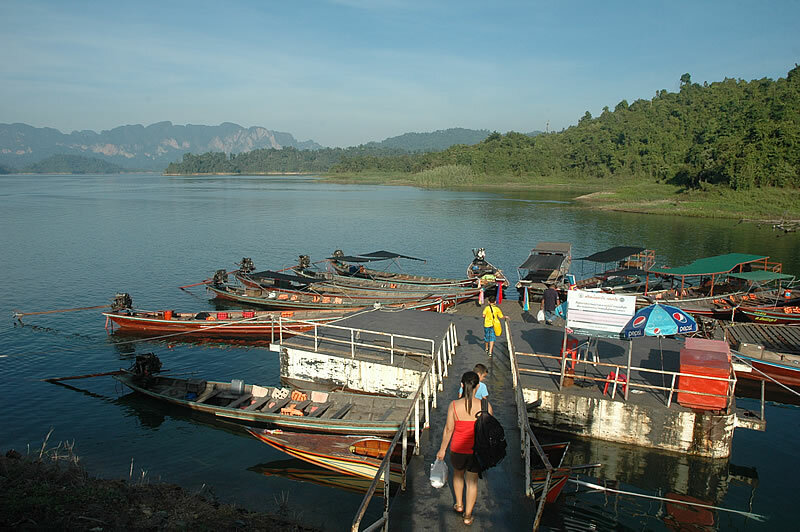 Glad we did as we got a large 4 bed room overlooking the lake during peak week at 1,300 baht per night. The main reason for coming here was to get out onto the lake which is what we did the following morning. 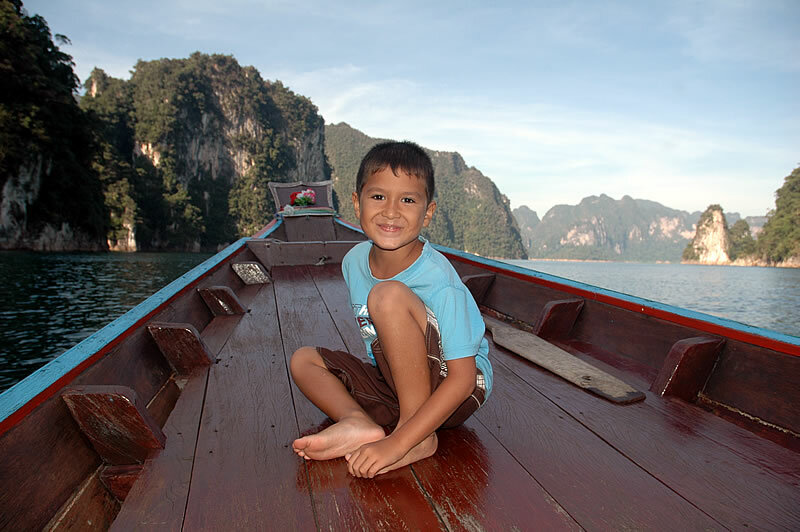 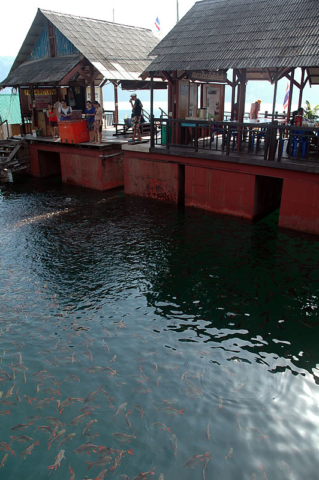 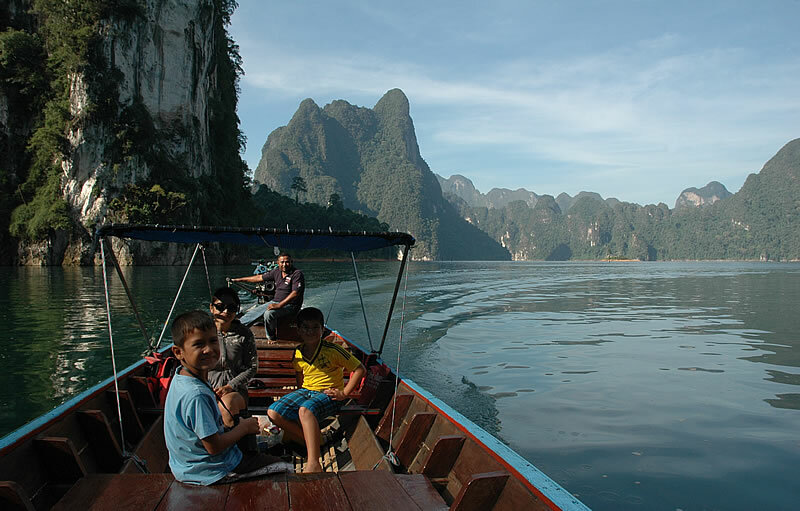 Due to the sheer size of the body of water, 165 square kilometers, charter boat trips are not cheap; 1,500 baht for two hours, 2,400 for four. 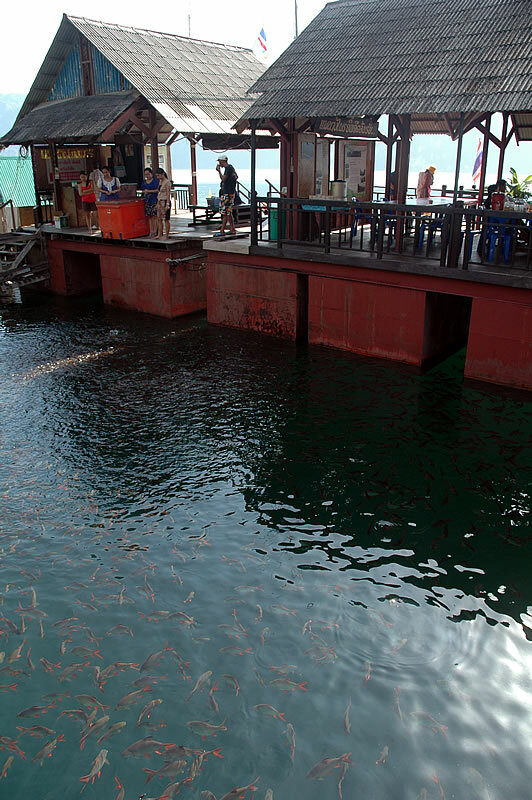 Naturally if there is a big group of you it works out cheaper, we took the four hour trip. 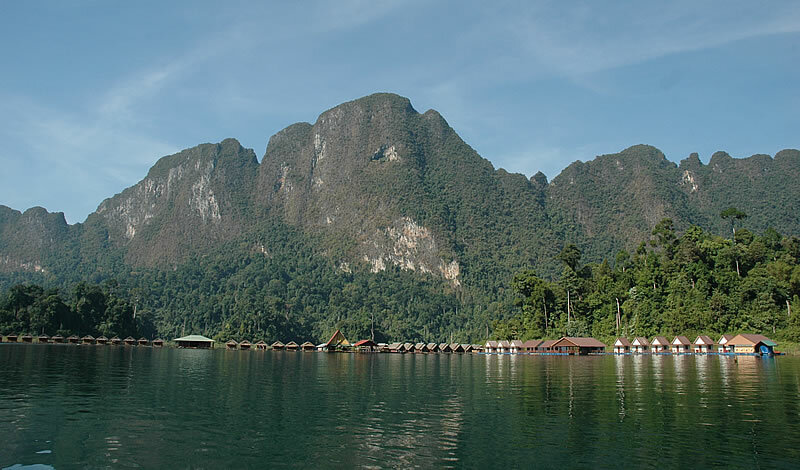 The price didn’t include the foreigner inflated national park entrance fee where again my futile attempts to get the local rate got me nowhere. 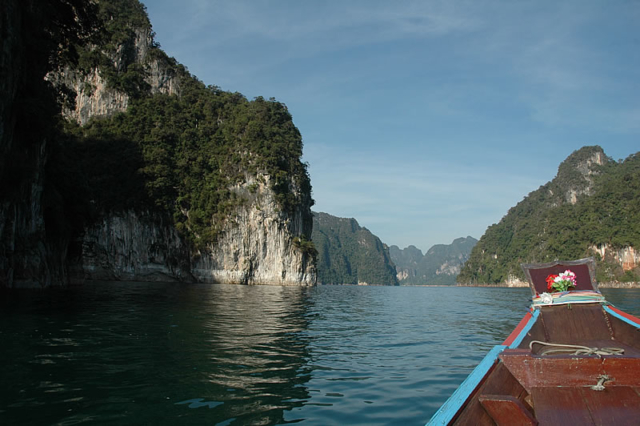 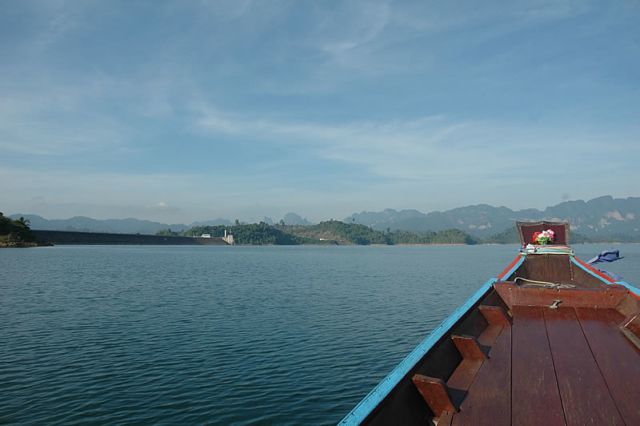 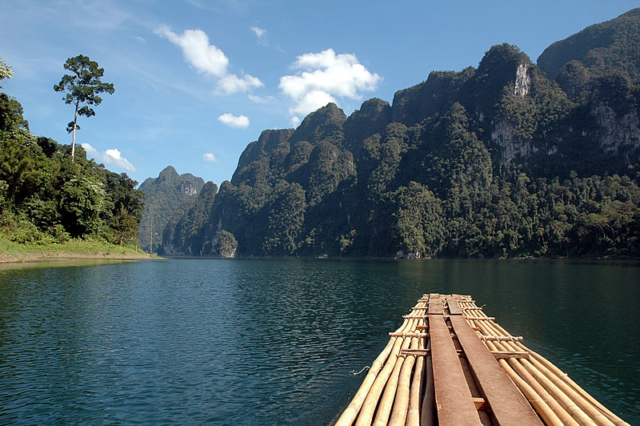 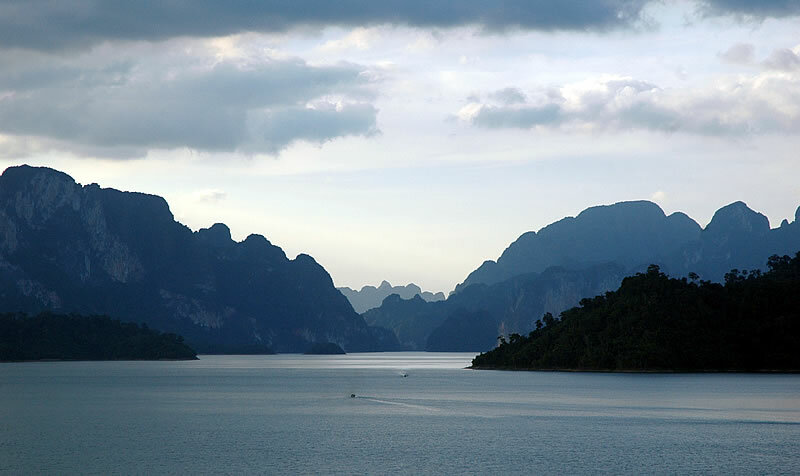 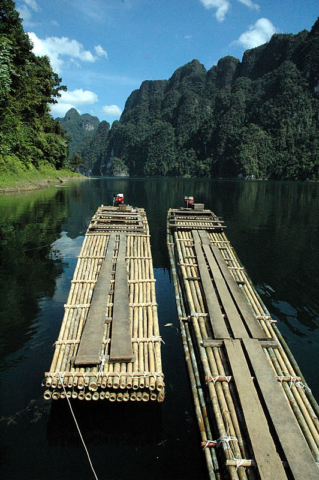 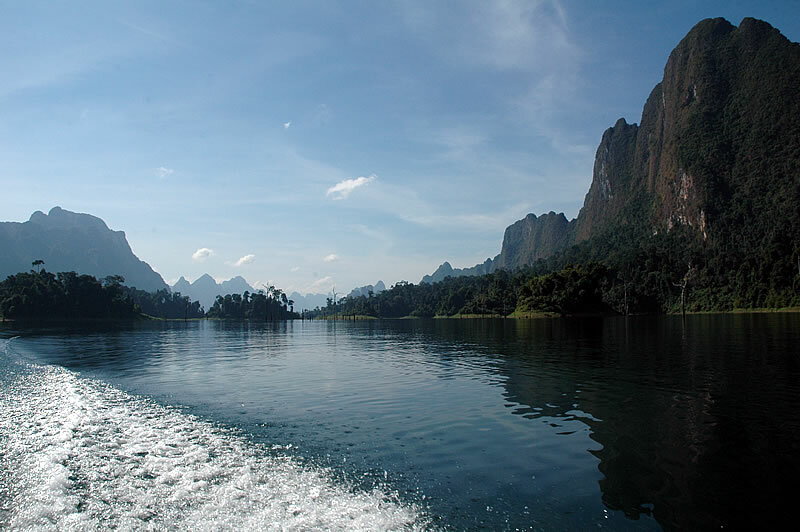 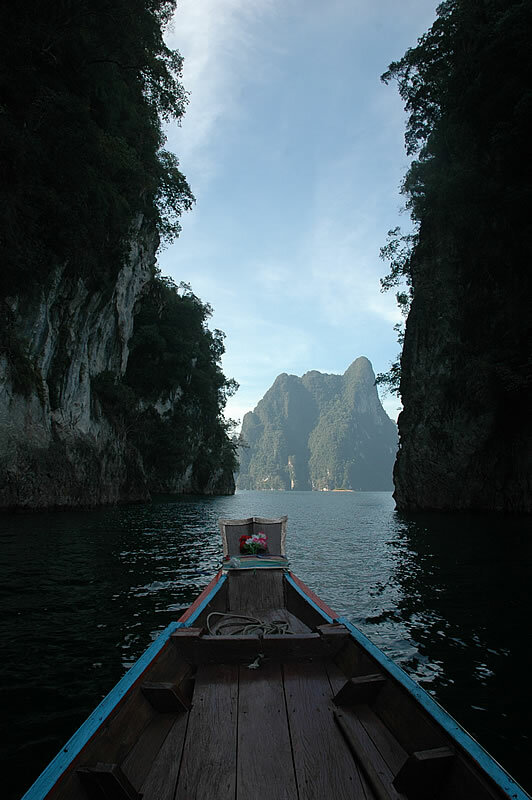 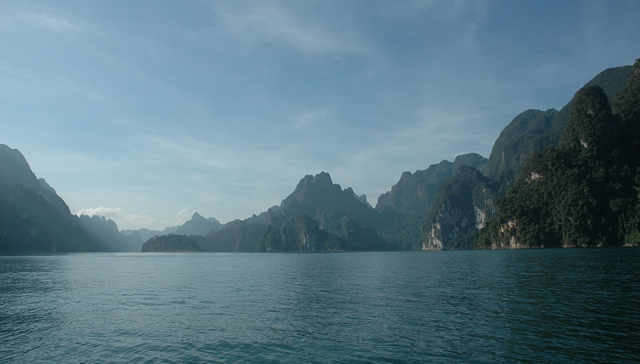 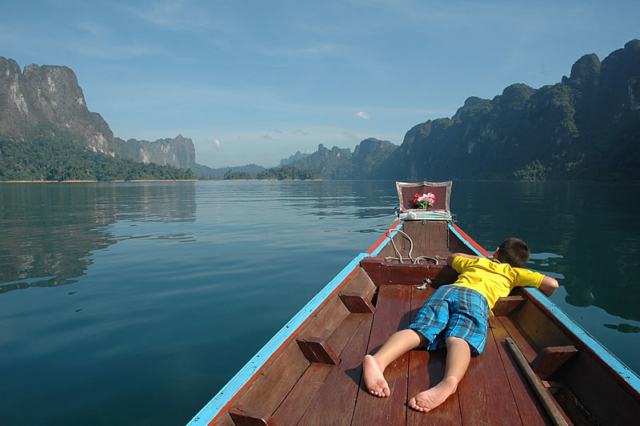 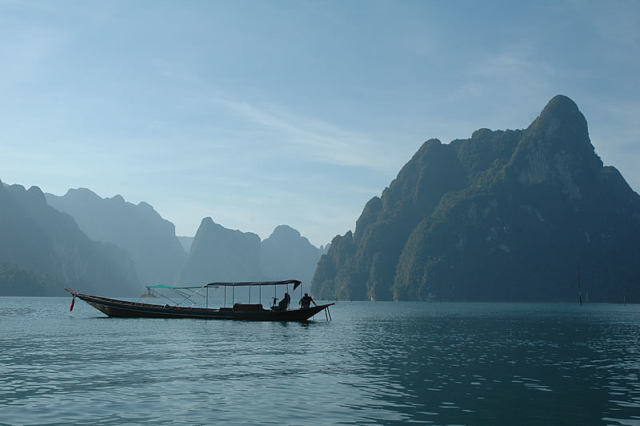 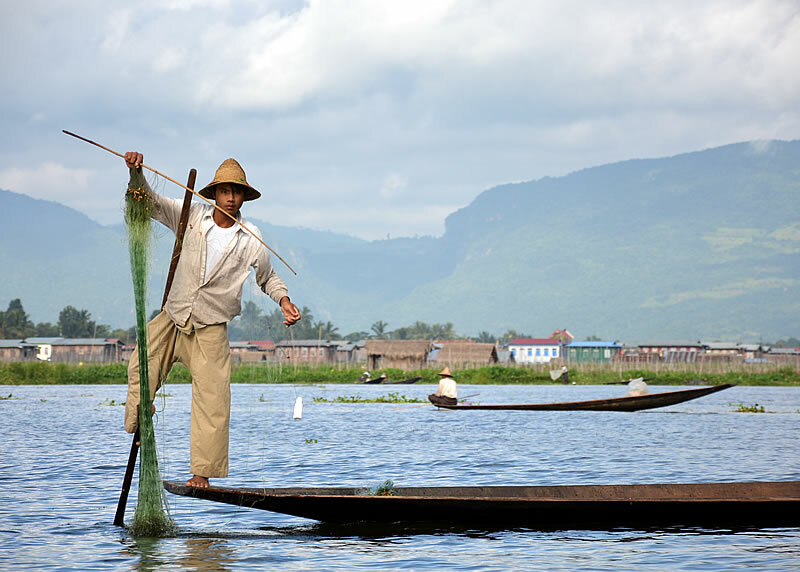 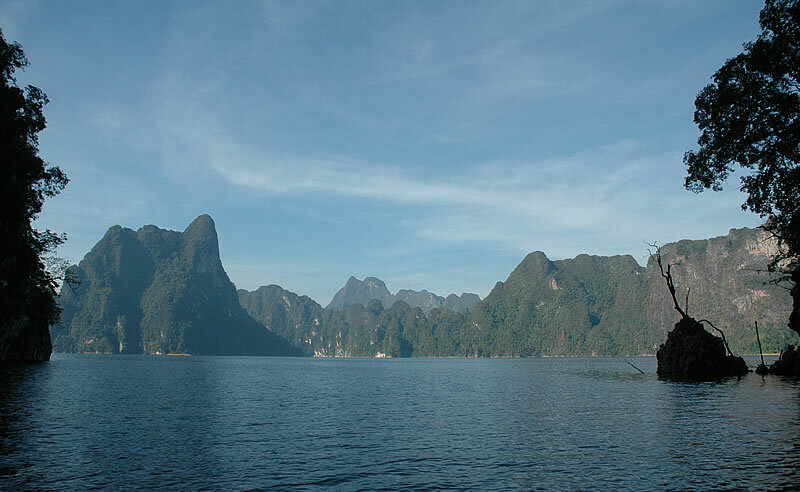 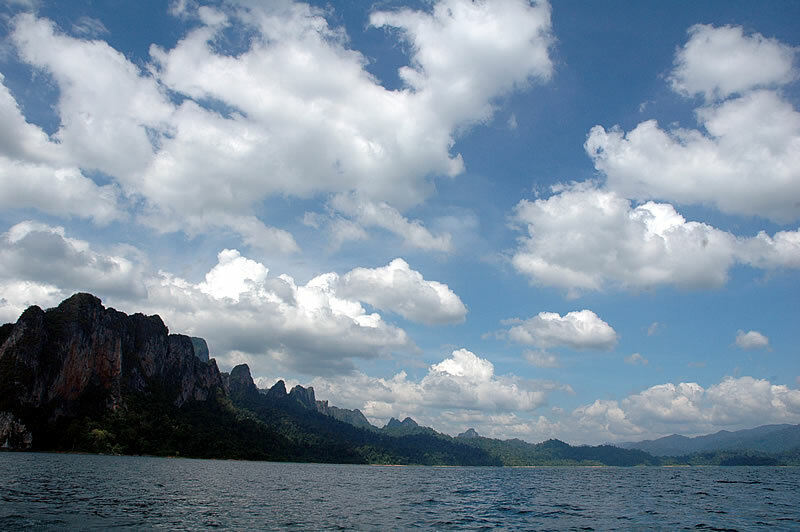 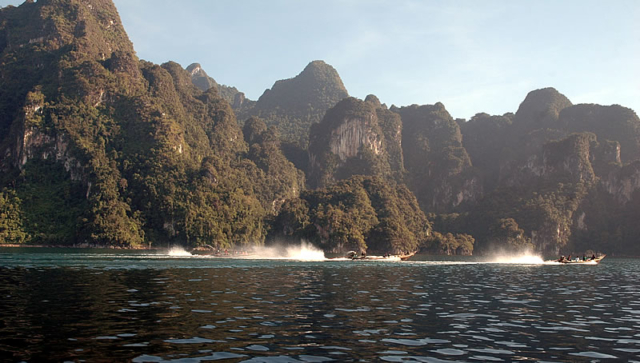 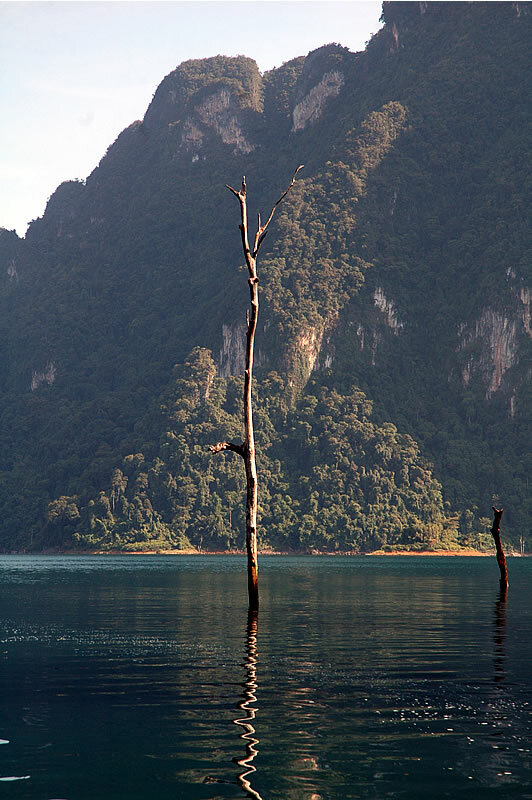 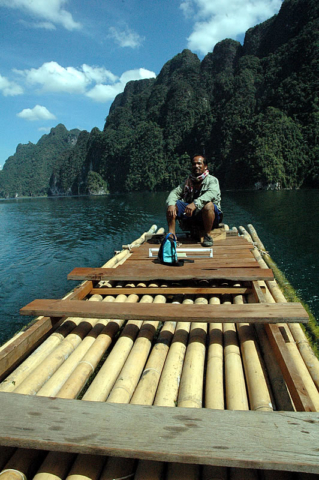 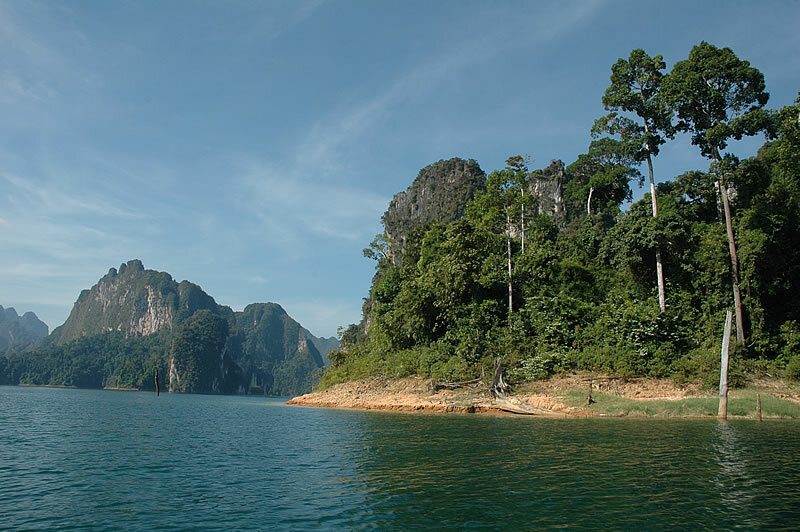 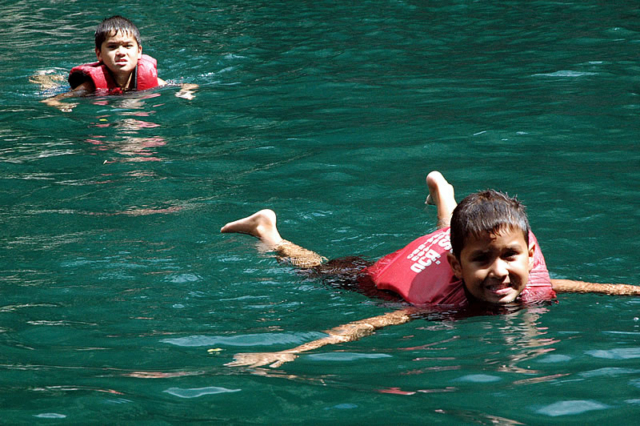 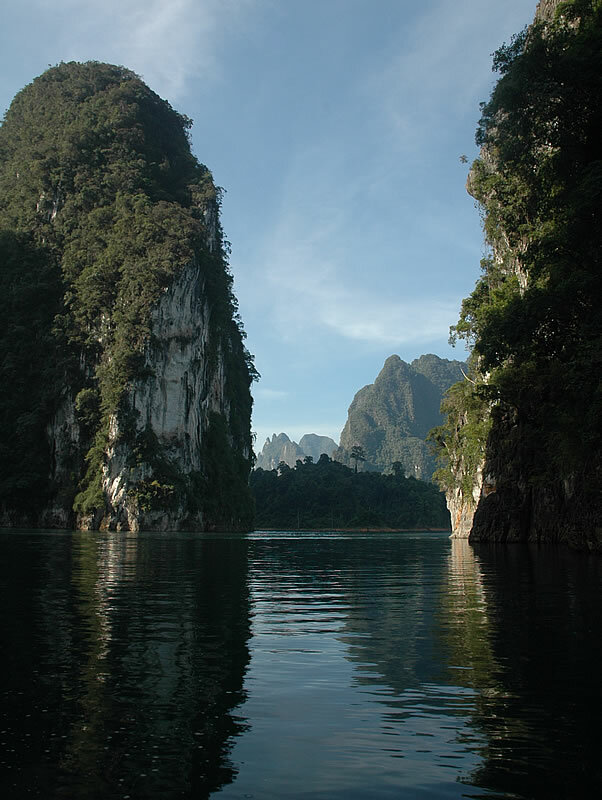 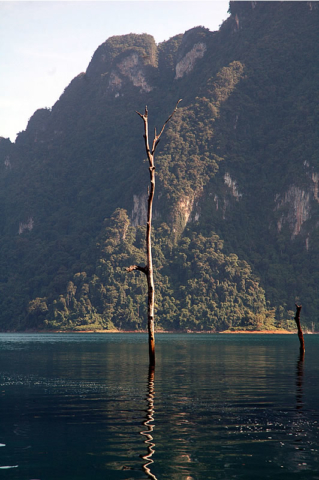 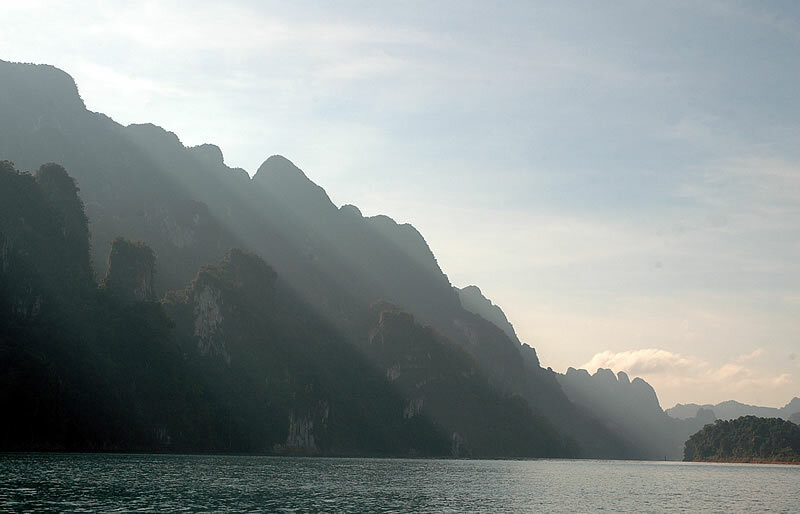 We motored out over a flat sheen of crystal clear water towards the jagged limestone mountains in the distance. 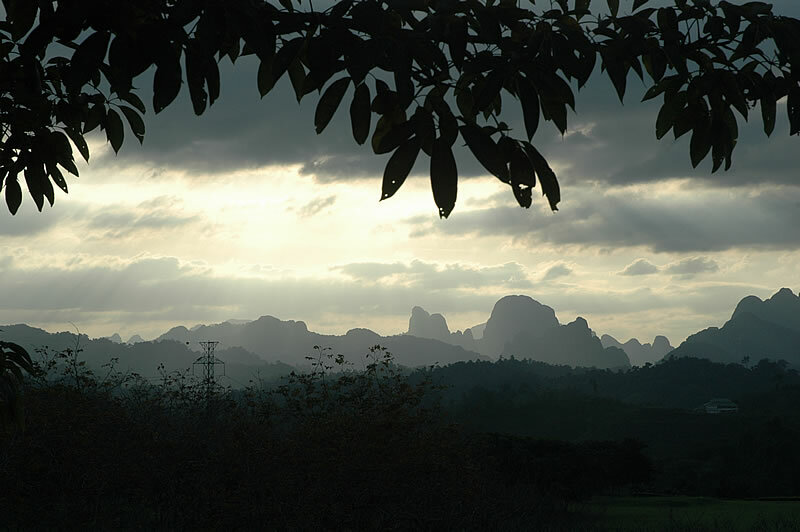 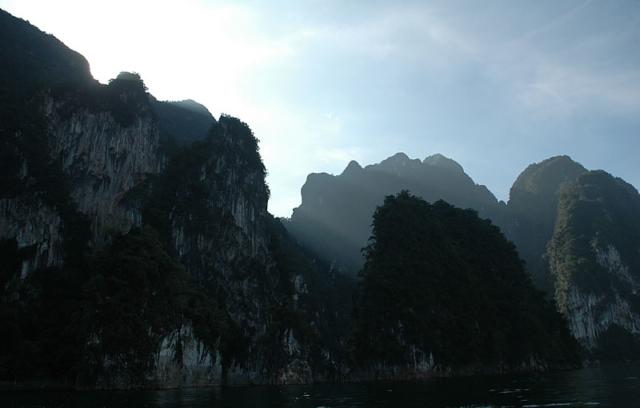 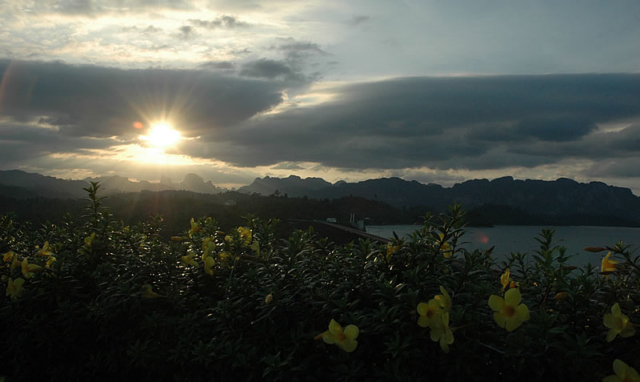 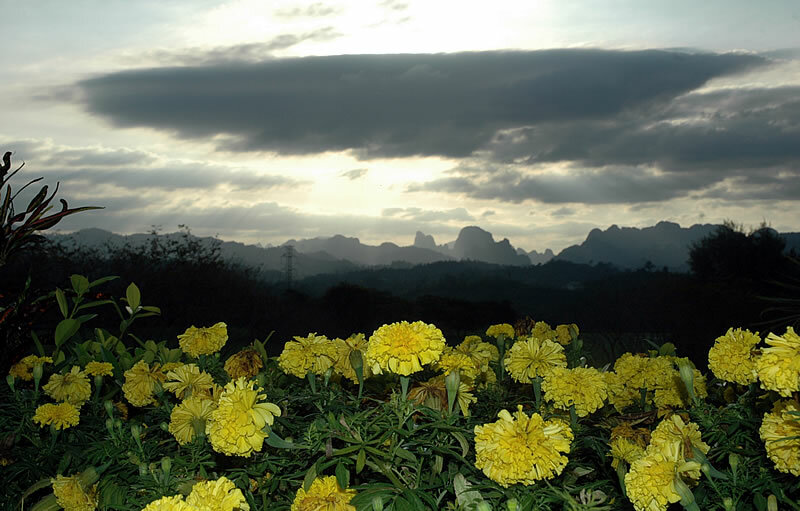 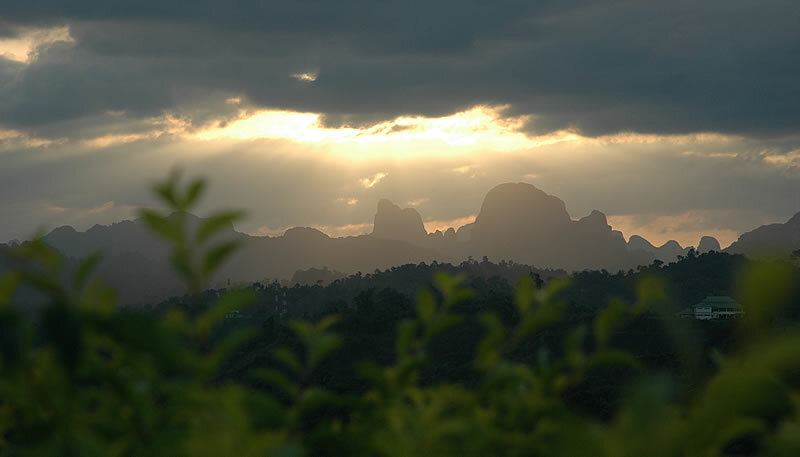 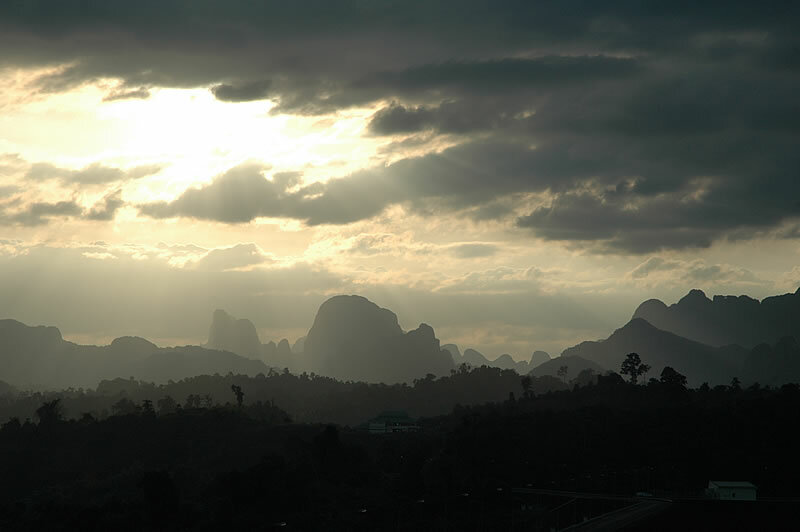 The area has been dubbed ‘Guilin’ after the Chinese province with similar topography and beauty. 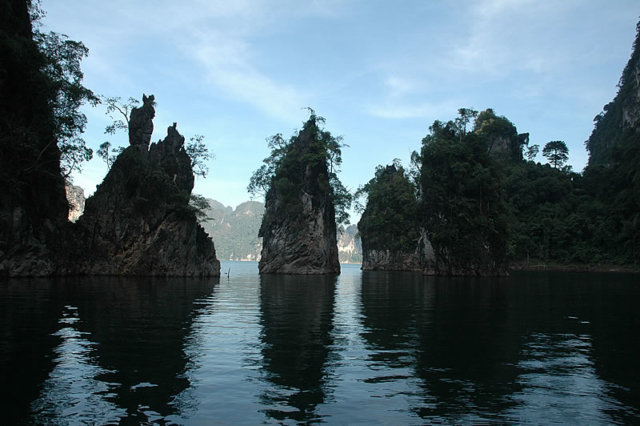 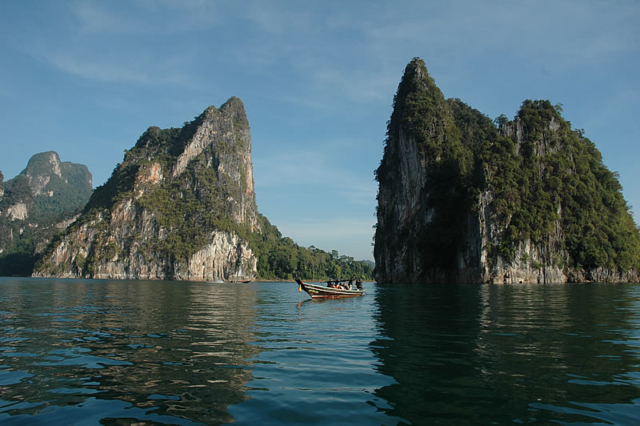 It is Thailand’s version of Halong Bay and is absolutely stunning, huge rocky karsts dot the calm waters, tiny wooden bungalows can be found nestled near cliff faces, eagles soar overhead, Chiew Larn lake is a truly magical place and well worth every baht to see it. 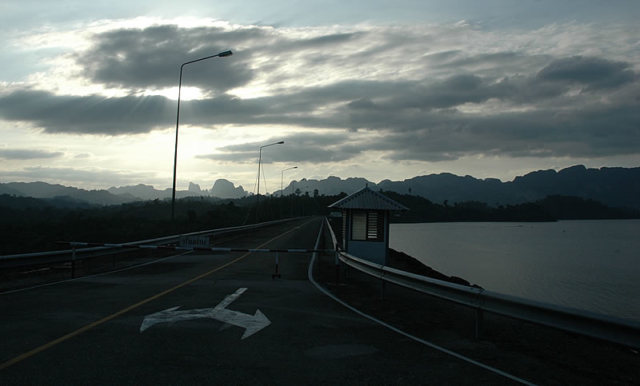 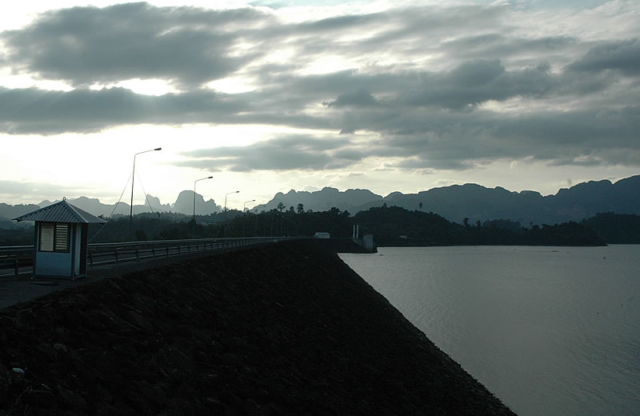 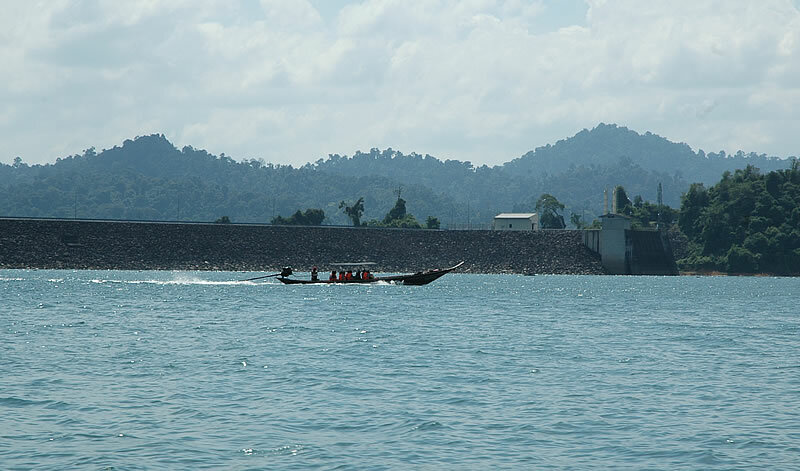 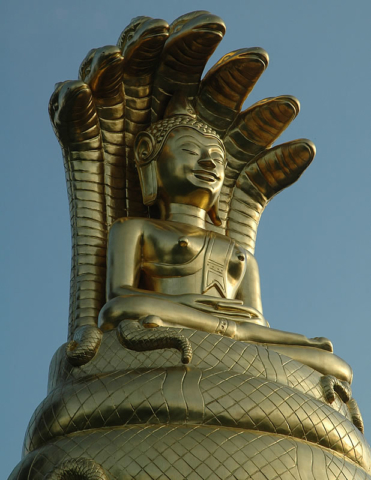 The dam was constructed 30 years ago and the huge area flooded to create the largest freshwater lake in south Thailand. 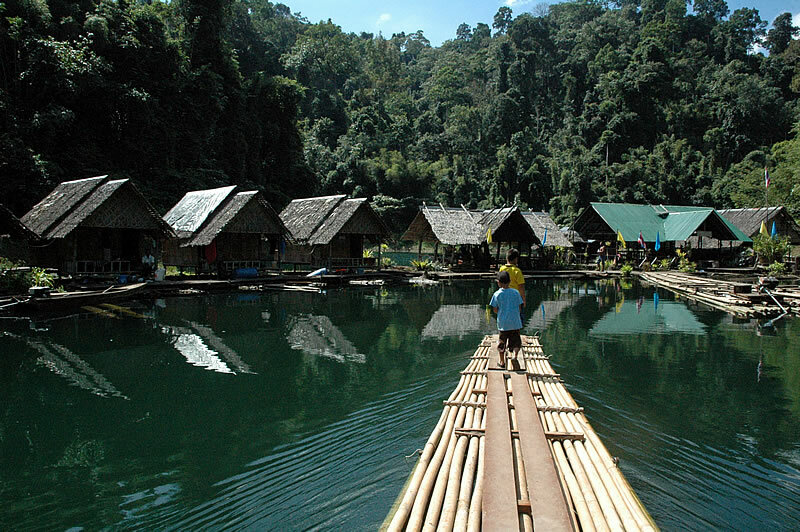 Our guide tells us he used to live in a village which is now under 200 meters of water along with the school he went to. 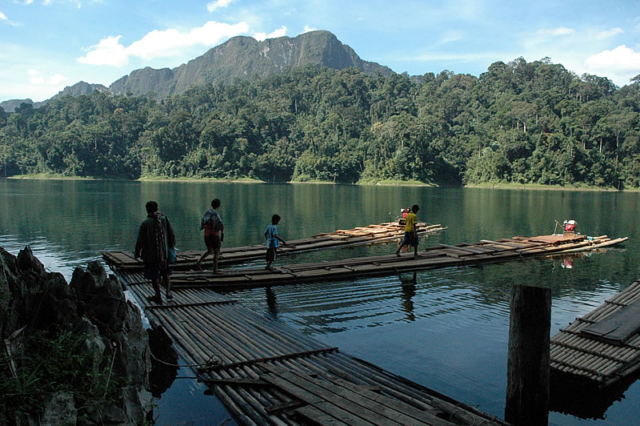 We took a trek through the dense jungle to arrive at a second smaller lake that was inadvertently flooded by an underground connecting cave when the dam was built. 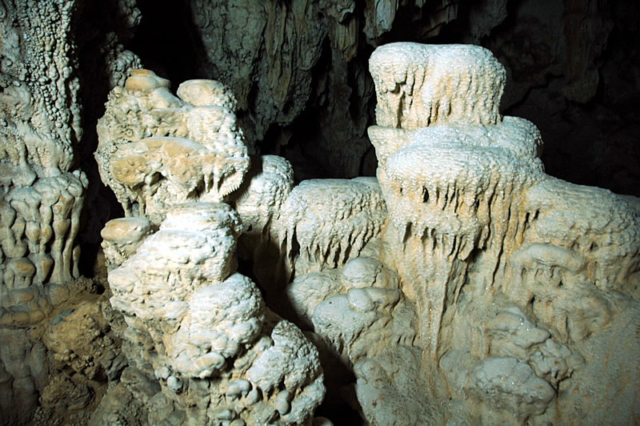 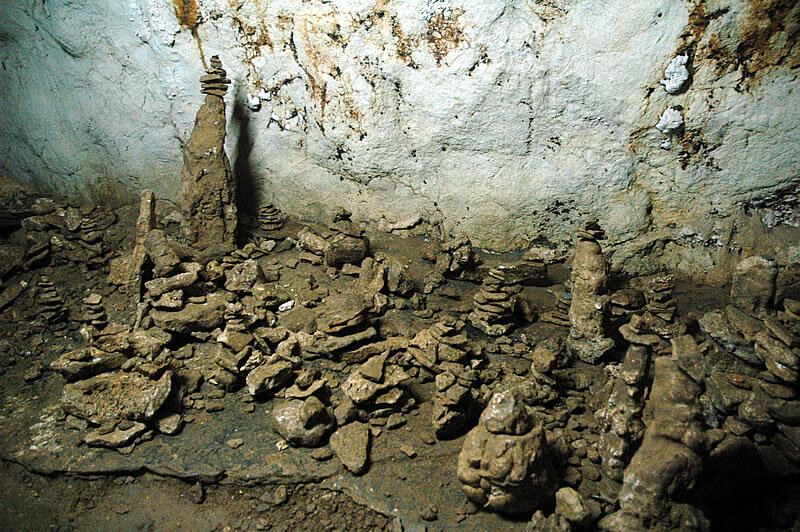 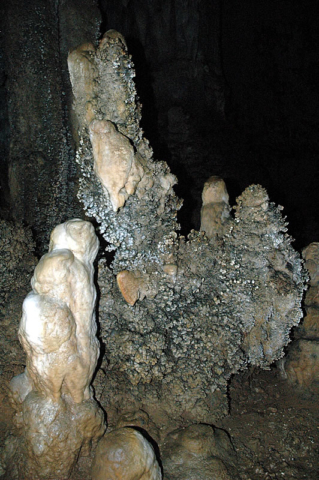 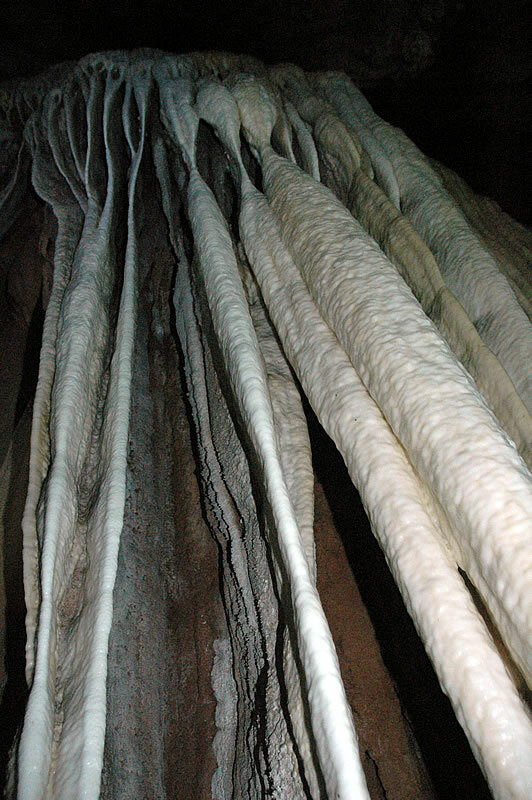 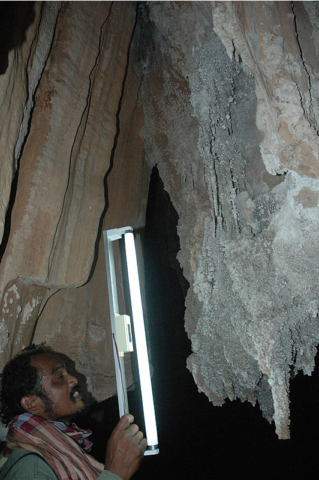 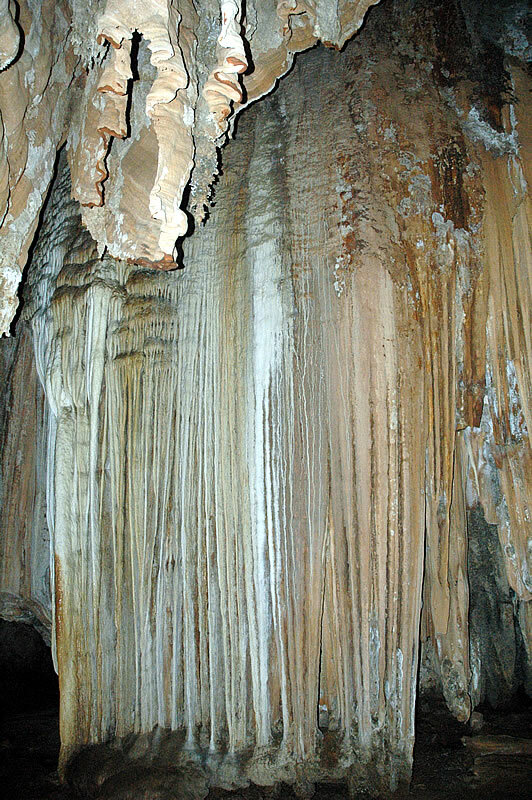 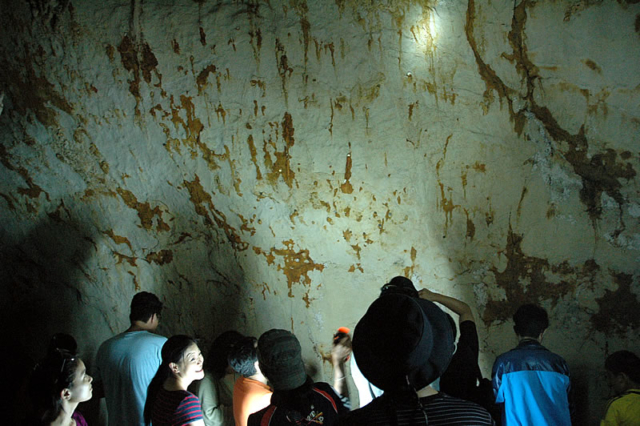 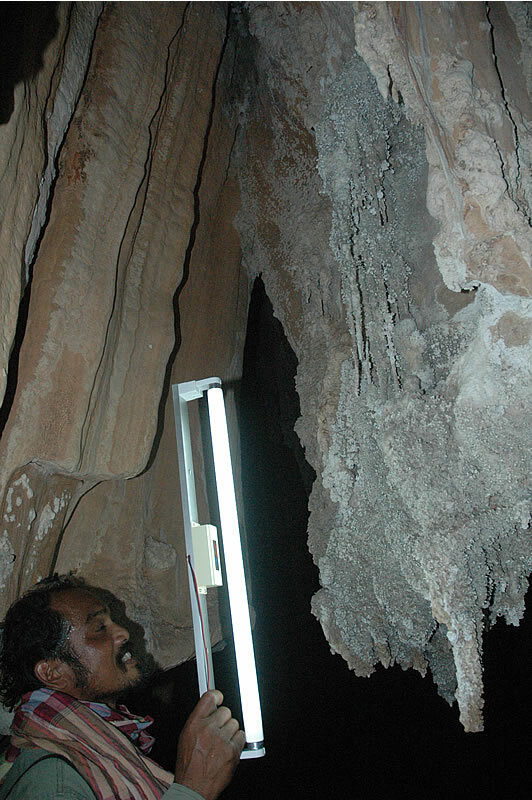 The rising water levels gave access to another cave that was full of what appeared to be calcified coral. 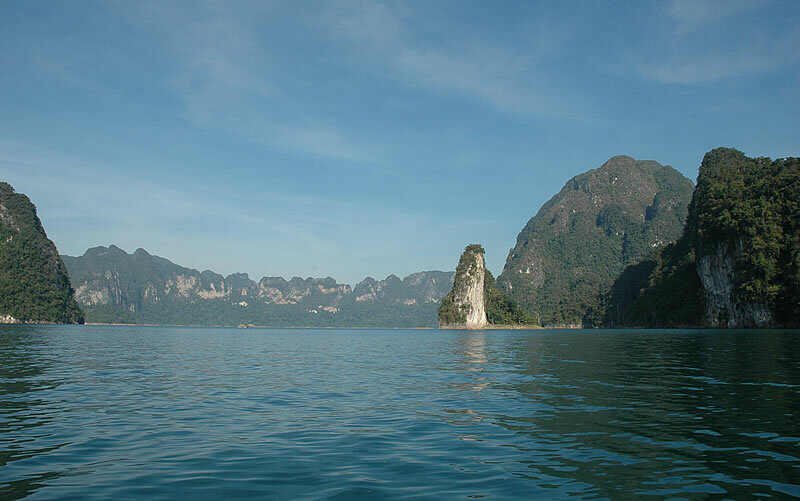 There are thousands of tiny coves and rocky outcrops to swim around, the water clear and warm and visibility must have been at least 20 meters. 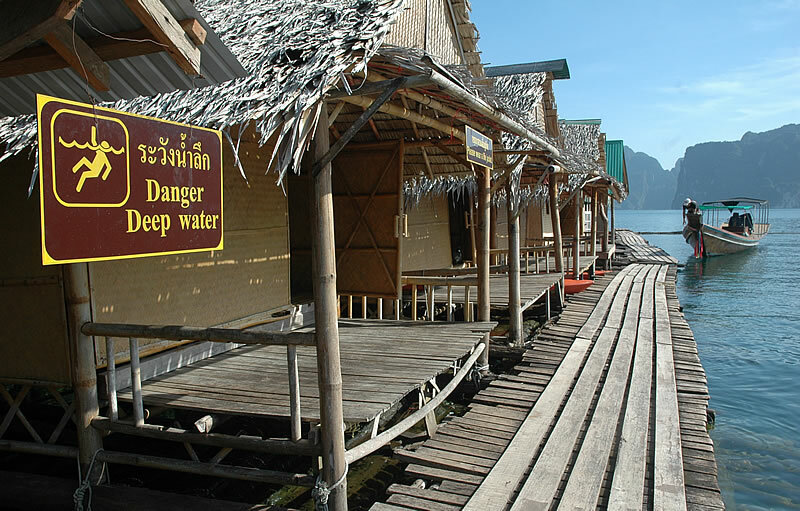 I wish I had my diving equipment with me!